For adults and some children, organ detoxification is used while monitoring the progress by checking organs/meridians and doing it step by step starting from organs of elimination and following in individual order. German drainage remedies and homeopathic/light herbal tinctures are used. This is a very effective and a gentle process of unlocking toxins from the cells. Enzyme therapy for better digestion (different for each individual depending on food group intolerance, i.e., lipase for fat, amylase for carbohydrates etc). Also cleansing proteolytic enzymes help the immune system to function the best. Helena Amos’s Protocol is simple and effective: organ specific detoxification, enzyme therapy and allergy desensitization. 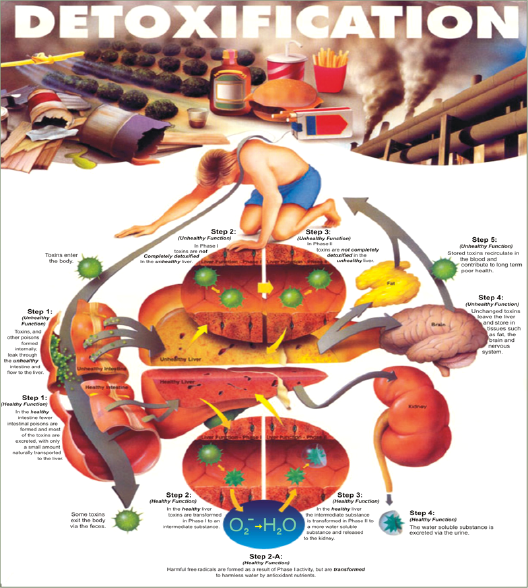 Organ specific detoxification helps to eliminate toxins from the body’s tissues and organs with homeopathics. Enzyme therapy helps your body’s natural digestive processes and in turn helps to correct any imbalances or nutrition deficiencies. Desensitization uses acupressure to remove any allergies triggered by foods. Helena Amos’s Protocol allows you to restore absorption of major nutrients like minerals (calcium, magnesium, potassium, selenium, etc), vitamins (B-complex, Vitamin D, Bioflavonoids, etc), probiotics and flora of the GI tract and more. Helena Amos’s Protocol is a life changing experience for a lot of patients. Right food choices, right life style and supplementation make people live happy and productive lives again!